Consumer habits, in terms of the search of the product or service and in the purchase, are changing, not only in the online environment, but also in the physical store. This has driven companies to innovate and invest in technological solutions that enable them to provide users with a unique shopping experience with no barriers. The emergence of new technologies has brought about many challenges and, like the saying goes, it is “adapt or die” in the world of retail purchase. Multichannelling is one of the most important changes triggered by digitization. Today, consumers relate and interact with brands through multiple channels… And this, in the field of retail means that, although the point of sale is still the predominant channel, ecommerce and mcommerce, and even the social networks or media, are gradually gaining strength and relevance. Mobile devices play an increasingly important role. Consumers expect their phones to facilitate their purchasing processes, in fact, most online purchase processes are already made through mobile devices, which signals the rise of mcommerce. Omnichannelling and innovation are essential factors. An omnichannel strategy allows us to maximize the advantages offered by new technologies. Besides, innovation becomes essential in order to offer consumers an unparalleled shopping experience. Despite the relentless growth of electronic commerce, the physical point of sale is still important for consumers. The reason is clear: the point of sale allows for certain features that are not possible through online shopping, such as experiencing the feel or the smell of products. But this does not imply that businesses should lower their guard with regard to digitization. In fact, they must be more alert than ever. One of the changing aspects is that customers walk in the store with lots of information about the product they want, thanks to the research done on the Internet and the comments and opinions of other consumers on social networks. This takes us to the first conclusion: the brands have to actively listen to what happens on the Internet and to what the users have to say. The new consuming habits have made digitalization a necessity, but it is also a great tool to get feedback from consumers. 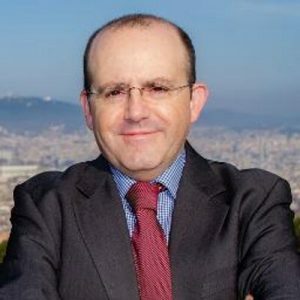 The first examples we could talk about are QR codes; but today we have many other options and solutions like beacons https://ignasisayol.com/es/beacons-entre-el-comerc-electronic-i-la-localitzacio/) or digital fitting rooms https://ignasisayol.com/en/espanol-tecnologias-que-cambiaran-radicalmente-nuestros-habitos-de-consumo/). This video gives evidence of Burberry’s commitment to a solid omnichannel strategy. They have turned their point of sale in Regent Street into a referent that is also used as a venue for events that are broadcast over the Internet. 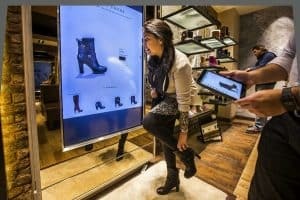 They have installed smart digital fitting rooms and screens that provide information on materials and manufacturing processes as a starting point for a memorable shopping experience. Today, customers and brands communicate interactively and multidirectionally, which provides valuable information on the profile, needs and desires of the target audience. It will be essential to take all this information and adapt the message to create a strong bond with the customer to help achieve the goal: a unique shopping experience. From the organizational point of view, digitalisation should also apply to operations and processes so as to successfully face the challenges arising. Having integrated platforms that allow connecting all the channels, having a real-time view of stocks, as well as information on the product and on consumers will become a necessity. As a referent in this regard we could mention Inditex, who have managed to make the most of Big Data. Through a strategic information management system, they are able to connect all their stores around the world and to adapt their offer to the customers’ needs quickly and efficiently. Furthermore, this allows the brand for a better insight of what products work best and in which stores, and this is the key to the well-known fast fashion that has made the company the most successful fashion business worldwide. Therefore, it is clear that the digital world will become an essential tool for retail in the coming years if we are to provide a great shopping experience for our customers. The sum of tradition, innovation and quality as seen in the Burberry video we have recommended above is an example of the future to come.